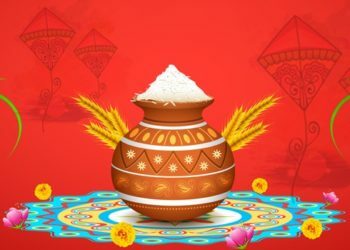 The month of Shravan, popularly known as Sawan Month or Shravan Maas (July–August), is one of the holiest months for Hindus. It is the fifth month of the Hindu calendar beginning from Chaitra and is dedicated to Lord Shiva. It is believed that praying to Lord Shiva in the Shravan Maas is 108 times more powerful than praying at any other time of the year. 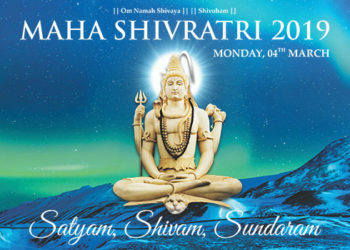 Devotees pray to Lord Shiva during this period for luck, success and happiness. The Shravan Maas in 2018 begins on July 28th and ends on September 9th. Why is it called Shravan Maas? 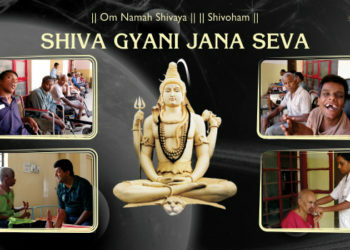 This month is known as Shravan because it is governed by the star, “Shravan”. Legend says that when the churning of oceans – Samudra Manthan – took place in the month of Shravan, fourteen different types of rubies came out. Thirteen of these were distributed amongst the demons, except Halahala (poison). Lord Shiva drank the Halahala and stored it in his throat. Hence, the name Neelkantha (meaning blue throat) is attributed to Shiva. To reduce the effect of the poison, Lord Shiva wore the crescent moon on his head. All Gods, thereafter started offering the Ganges water to cool Lord Shiva and to alleviate the ill effects of the poison. This tradition continued, and since then, Shiva devotees have continued to offer the water of Ganges to Lord Shiva during this month. 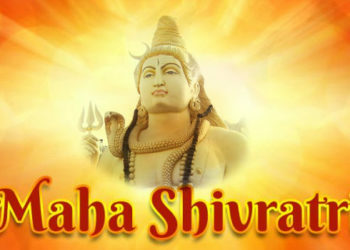 ‘Shravan’ is the star that governs this month and therefore, this period is called Shravan. It is said that when Samundra Manthan (the churning of oceans) occurred, fourteen different types of rubies came out. Thirteen of these were distributed amongst the Asuras (demons) and Devas (divine beings), except Halahala (poison). It was Lord Shiva who drank the Halahala and stored it in His throat. Since then, Neelkantha (meaning blue throat) is attributed to Lord Shiva. Lord Shiva wore the crescent moon on His head to negate the effects of the poison. It is also believed that all Gods offered water from the Holy River Ganga to cool Lord Shiva and to alleviate the ill effects of the poison. This tradition has continued as Shiva devotees continue to offer Ganga Jal to Lord Shiva during this month. Devotees fast from sunrise to sunset during this period. Some observe a partial fast where they eat fruits and juices during the day. Most eat only one meal after sunset. Non-vegetarian food, onion and garlic are avoided. Foods like sabudana (tapioca pearl) and seasonal fruits are commonly eaten during the Shravan Vrat. Some people also eat food without salt during the fasting. 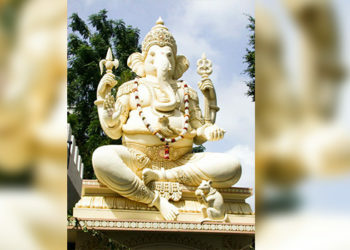 It is said that fasting during the Shravan Maas is beneficial for health. Since it is the time of monsoons, sunlight is less, which slows down the digestive system. Hence, it is advisable to consume easily digestible food. This is why a strictly vegetarian diet is followed during the month of Shravan. Fasting also detoxifies the digestive system, which is a natural protection against airborne diseases. Every Monday, devotees should come and pray at a temple and observe the Monday fast with discipline and austerity. We should listen to Bhajans each day through the month. We should not harm or hurt anyone. We should pray to God every day, wherever we are and as often as we can. We should perform Abhishek every day. We should perform Aarti every day with devotion and love. We should offer ourselves to God in complete surrender, that is, Arpanam. We should wear a Rudraksha on all the 30 days of the Shravan Maas. We should chant “Om Namah Shivaya” and the “Maha Mrityunjaya Mantra” daily. We should sit in silence and remember God every single day of the Shravan Maas.